Varna, Bulgaria - February 02, 2015: Female Hand Holding White.. Stock Photo, Picture And Royalty Free Image. Image 49200369. 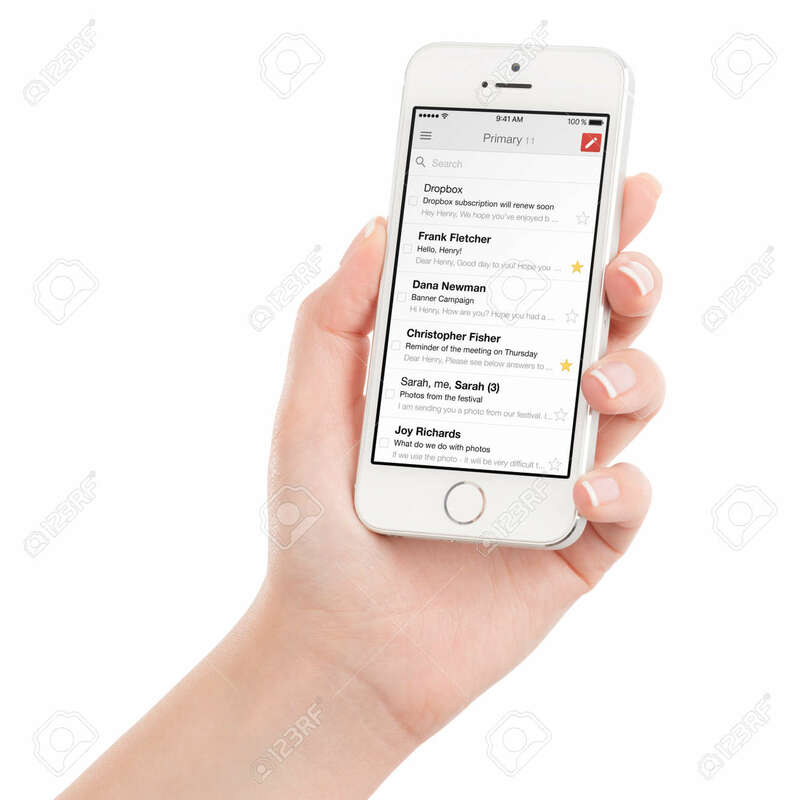 Stock Photo - Varna, Bulgaria - February 02, 2015: Female hand holding white Apple iPhone 5s with Google Gmail app inbox on the display. Gmail is a free Internet email service provided by Google. Isolated on white. Varna, Bulgaria - February 02, 2015: Female hand holding white Apple iPhone 5s with Google Gmail app inbox on the display. Gmail is a free Internet email service provided by Google. Isolated on white.